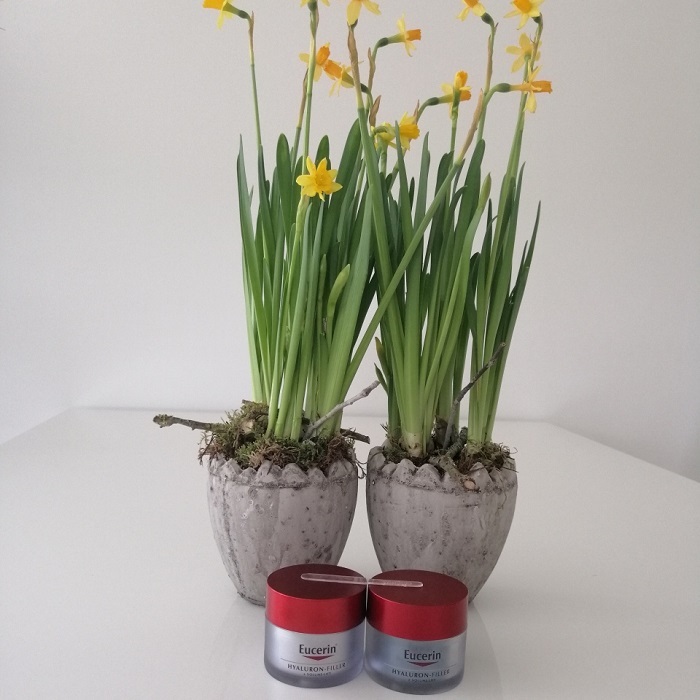 I am not a beauty expert at all and normally I do not write about it, but I still want to devote a bit of time to skin care for the aging skin. Namely about which facial products you should now choose for aging skin. Let it be clear that what I write here is my opinion and my experience. Maybe it will be helpful for someone. This is also not a sponsored post, in any way. This is my experience with facial care. I have very sensitive skin and it has lost a bit of volume since the start of menopause. Since I was about 30 years old, I started using the more expensive creams. Lancaster, Clinique and Estée Lauder. Every time when I went to the perfumery, to buy a new stock, it was an attack on my wallet. And if it really helps or works, I think that’s fine. But I was never really satisfied with what those creams did for my skin. And every time after a few years my skin started to react violently or I got the feeling it didn’t do anything anymore. 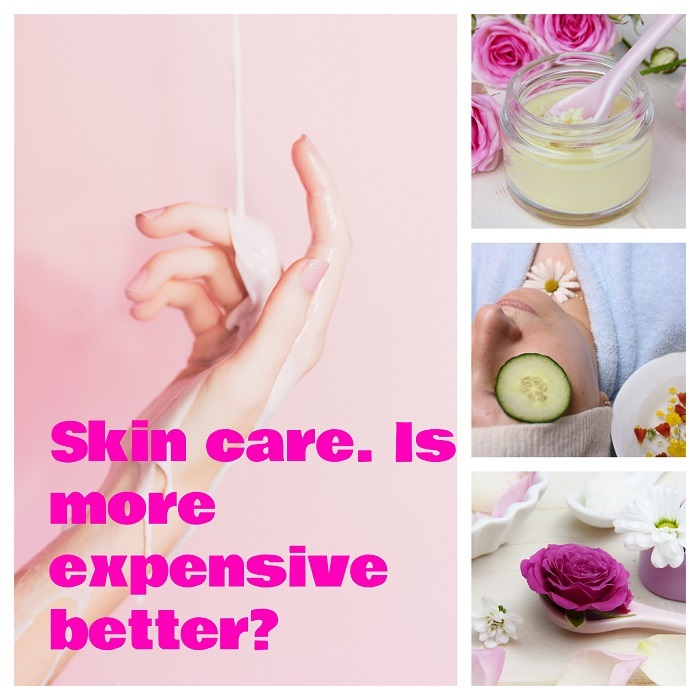 A few years ago I wondered if more expensive creams are indeed always better and I started to delve into skin care. On the search for new products. I knew it had to be a cream for the aging and very sensitive skin, and had to contain a SPF. And I didn’t want an expensive cream anymore. But also not a drugstore cream because my skin is way too sensitive for that. After much reading and googling, I decided to use Eucerin. Since I use this brand my skin has become much and much calmer. Less spotty, less red and fewer spots. Even my beautician noticed it. I use the hyaluron filler line with volume lift. Once my eye cream and serum were used up, I went to the pharmacy to get new ones and then took the wrong one, the one without the volume lift. I only found out after weeks because my stock hadn’t reached the bottom yet. I could see the difference in the lines from my nose to my mouth! Within a week! Recently that serum needed replacing and I resumed the volume lift and within a few days I saw a difference. The lines were smoother! Now that is what we need. I am super happy with this facial care. Also, I like the fact a lot that it is much less expensive! Immerse yourself in your skin care. It is really worth it. 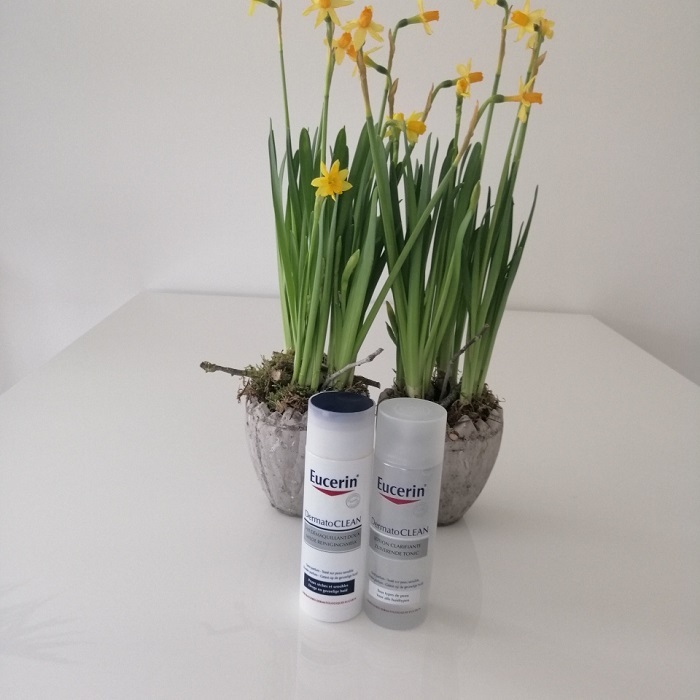 I don’t want to say in this post that Eucerin is great for everyone. But what I do want to say is that it is really worthwhile to find out seriously what your skin needs and then google and find out which cream will work for you. Also find out what you want in a cream, find out which ingredients you want it to contain or not contain. The most expensive product is certainly not the best. In fact, I think this cream does much more than all those ,,good,, expensive brands. You just want to see improvement when you use something. So google a lot, read a lot, read reviews and on that basis you can make a good choice for your skin care. And now it’s time to start the Fancy Friday linkup party! Every Friday you can show yourself and meet other bloggers. Even if you’re not a blogger you can join! You can also grab a button to support my linkup party if you like. I would appreciate it very much! Copy and paste the code under my button. Link up your blog below. Share the love by visiting other blogs in the linkup party. Share a link to Nancy’s Fashion Style on your post or give a little shout out on social media. By joining the Fancy Friday party, you agree to receive a weekly reminder email for the linkup. Previous Post The Good Buy/Good-Bye Book reminder: Skirts! The whole skin care thing, I agree, can get tricky. I have found that rosehip oil and snake cream are great for sun spots. I live in New Zealand, and no matter how care one is… we always end up with some sun spots. I also use a native plant made into a balm which increases collagen production, about every second evening. But I’m definitely going to have a hunt for Eurcerin, too. Thanks! Oh snake cream was very popular here a few years ago! I definitely think that if you can spend money on skincare it is nice, however there are good brands out there that work that don’t cost an arm and an leg. And work better in my case! Thanks Ruth! Thank you for sharing this information. I try all sorts of beauty creams but I will admit that some of them I receive for free as my daughter works in the cosmetics field. I am very happy to learn about this particular product. I agree that the most expensive is not always the best. And I feel that applies to almost everything we buy. Have a wonderful weekend my friend. Thanks Elle! Have a great weekend! You are absolute right, but….we do pay a lot for a brands name and package! Have a great weekend Nancy!! It’s always great to find a brand that works for you. I’ve heard good things about Eucerin. Have a great weekend Nancy. Thanks Gail, have a good weekend! Skincare, makeup and haircare products are all so individual…what works for one person doesn’t necessarily work as well for another. How fabulous that you’ve found your perfect match! I’ve been using Ole Henrickson for a couple of years now and really love it, especially the Truth Serum. Have a great weekend my friend! It sure is very personal. But I never did research myself what I wanted in a cream. And it is sure worth wile! It’s so tough to find skin care products that are good and don’t irritate, especial facial products. I have sensitive skin too and it’s frustrating. 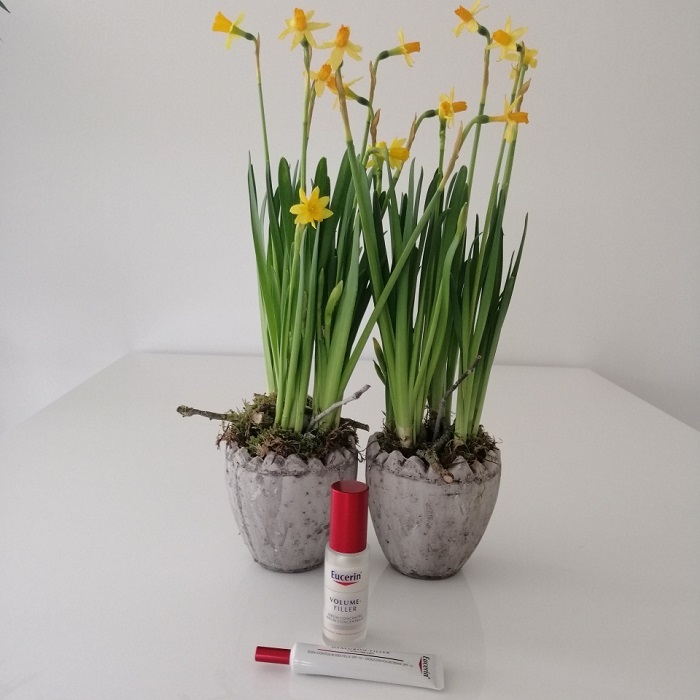 Have you tried Eucerin? You should! I really see difference in my skin from using this brand. Thanks so much for sharing what worked for you! I need to check Eurcerin out. I agree that every single person needs to find the right skincare that works for them. Thanks for the link up Nancy! Definitely cleaning my face every night is the first step which gives the biggest positive results! Adding a great vitamin C serum is also a great idea. Thanks for sharing Nancy. I heard that one before, but I am always asking myself if it is good for sensitive skin too! I’ve always been a soap and water girl myself, but I have seen this product around so I may look into it. TFS! I need to get a little more serious about skin care. Thanks for the reminder, Nancy. But it does pay of to spend a bit of time in it! I am still navigating my way through the world of skin care so I always appreciate these types of reviews! Thanks for sharing, my friend! Have a great weekend. My pleasure love! Happy weekend! Yes indeed, but it is worth while! Have a great weekend Jodie! I have tried a lot and what suits one year irritates the next no matter the price! I do like Eucerin though especially the bath products! Never tried those! Thanks! Have a great weekend Ashley! I love Eucerin products and have used them forever. I especially love the lotion in the winter when my skin is very dry! I love some drugstore products and some more high end products! I enjoyed this post! Have a great weekend! Oh thank you very much! I wasn’t sure anyone would be interested! Have a great weekend! I am actually a huge fan of Eucerin! Perfect for winter skin. My son and I swear by it! Interesting read Nancy to hear what works for you! I use NCN skincare, and am regimented about using Vit C and Retinol. I am trying GoPure, and am really liking the results, adding brightness to my skin. I agree, you don’t have to spend a fortune to find the right skincare for you. Did you also use the volume lift? That really makes the difference! I agree that expensive doesn’t necessarily mean better—I try everything, but some of my favorite brands are Avene and Weleda, which can be found at the drugstore! Weleda is also a fabulous brand especially for a dry skin! As a beautyblogger I can agree with your post. But in the last few months I had several brands and the only one who rescued my dry skin is Utsukusy. Is that a expensive brand? It does change. And reading a lot about it is worth it! Nancy, this is such good advice. Price isn’t the most important thing, but as you say, it’s the ingredients and the formulation. I use a wide array of products. I tried the current line trending and it definitely wasn’t for me. It does pay to do your research and shop around. Yes it does, because it can be so expensive! Yvonne in that luscious green was also my fave from last week! Oh really, what a great outfit he! I’ve never tried the Eucerin skincare line, but I love having products containing hyaluronic acid too! It makes such a difference! It does! You can see the difference in a week! How fab is that! I love Eucerin! It was the same product the doctor recommended to my sister after a burn. How good. I really love that product! Thank you very much Jacqui! Oh I am going to read that article! Thanks! Yes we do, happy weekend lovely Penny! I must admit to not knowing Eucerin , must check to see if its available here. I have tried all sorts of products and like you now know that expensive isn’t always best. Many thanks for hosting Nancy. I am glad you think so too! And hope you find a good product for your skin as well! An interesting read Nancy. I’ll look into that. Thank you for sharing with us. I agree that just because something is expensive does not mean it works. I think my Mom uses this cream. In my family everyone has extremly sensitive skin. I currently use Oil of Olay and have since I was 15 but I’ve added an eye cream called Snoxin in the last 8 years. I am thinking about getting some professional advice from a dermatologist and may go with what they recommend to see if it is better for me. It won’t be cheap, I know that. My sister also uses Oil of Olaz and also has another eye cream. Going to see a dermatologist is a good idea! Skin care is tough for me. That’s why I love reading what others are using and what’s working for them. Glad you found something you’re happy with! I have tried this brand and sometimes return to it if my skin feels a bit uncomfortable. I love this post. Have a nice day, Nancy! Thanks Yvonne! Have a good day! Expensive does not mean better. Beauty products have a huge markup. What’s important for me is cruelty-free. I don’t buy from companies that test on animals. Oh no, that neither! Thanks Carmen. I tried Eucerin creams and loved them but then I forgot about them. I should try them again. I think it depends on the ingredients in the product and how they source them. If they are using high quality ingredients that are more expensive to produce then it’s worth paying more. But if you are just paying a lot for the brand name then it’s probably not worth it! You are absolutely right, and often we pay for the package and the brands name. I have very sensitive skin too so I have to be very careful what I’m using. Clinique works for me for years. I notice lately that my skin is actually better if I use less products. Thank you for sharing your thoughts about skin care with My Red Carpet. Clinique worked for me for years too!